Very thoughtful post. One of the things I find most horrifying about this situation is the fact that many are upset because that means their hero has deceived them, not because of the women he harmed. Yes, the concentric circles that expand from terrible incidents like these possess the potential to wound many. Well….if the allegations are true, Mr Cosby has not admitted whether he raped the women in question or not. So it becomes difficult to prove….but I am suspicious when so many years and decades pass before the victims suddenly surface. Could be related to civil litigation, and Mr Cosby has been advised by counsel to deny, deny, deny. True, but you’ll see from my comments that the veracity of the charges themselves. I’m discovering this to be a far more introspective journey than I would ever have anticipated it being. Jesus’ words about needing to be without sin “to cast the first stone” seem particularly apropos, don’t they? With our family having experienced a very similar kind of abuse by someone who was trusted by us and respected and well-regarded both in their profession and in their church, this hits quite close to home. It’s often hard for people who have no personal experience with abuse to understand why victims would not come forward immediately. We happen to know–and to have been told by very wise counselors–that there are many reasons for this. The abusers usually choose a victim that is less likely, by virtue of their own personality, to tell. There is fear of not being believed. There’s fear of the unjust justice system and what women are put through when they come forward with their stories. There are feelings of shame. There are MANY valid reasons why people don’t tell; that should not be a reason to doubt them. 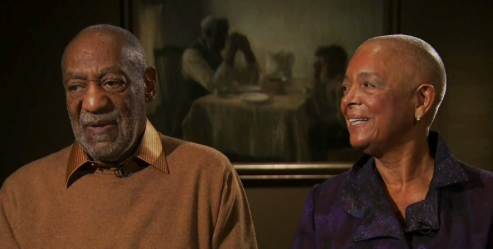 And why would Bill Cosby admit his guilt? He’s still hoping to deny his way out of prison and the loss of his career. If he admits his guilt, he’s asking to be punished. The very interesting thing is that once we made the decision to talk to others about our family’s experience, THREE separate people came forward and told us they had experienced abuse at the hands of this same person. Each one spoke to us separately and did not know about the others. The abuser had been victimizing women for years, and yet only one of them had ever mentioned it to anyone else. (They were a sixteen year old girl and two women in their 20’s–not children.) The one who did ask for help was brushed off with “oh, he’s just like that.” The others never told anyone. Do I know that Bill Cosby is guilty? No, I don’t. Do I believe his accusers? Yes, I’m afraid I do. This is way too much déja vu. Tragic. I’ll say a prayer this evening for your family’s continued healing. If all abuse cases came to light, people would be stunned (I believe) to learn that hardly a family is left unscathed. But, as you say, there are so many reasons why the truth is suppressed, that most cases remain lost to silence. Thank you. I’m sure I’m not alone in feeling this way. Consider that Mr. Cosby may well be paying a price for speaking truth to Progressive racism. Allegations can be more destructive to ones life than proven events. Speaking out against the established role assigned to people of color by the media and the government won’t be tolerated. I am not saying he isn’t guilty of the allegations, but I am saying that at this point his guilt isn’t required for his life to be destroyed beyond repair by the simple suggestion of wrong doing. I think it is mostly a question of payback from the Race Industrial Complex. Wait for the proof before knotting the noose. I’m sure this is a factor in how all of the reports have been covered. There is no question that in America the press treatment of liberals and conservatives is vastly inequitable. Cosby’s past statements about individual accountability have made him unpopular with many so-called “progressive” media outlets. And, as you say, the accusations themselves (especially when reported as “fact”) are quite destructive.